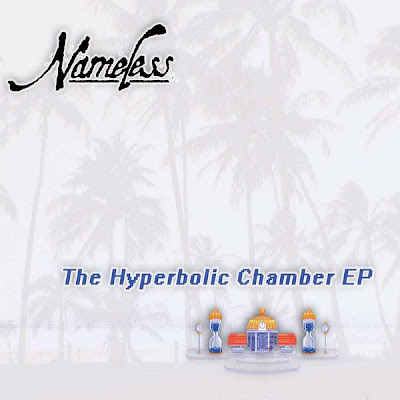 Los Angeles native emcee and event organizer (and occasional contributor to GM4A compilation efforts) Nameless has released his debut EP, Hyperbolic Chamber for free on the internet, which is available in the "sounds like" section of his myspace at myspace.com/NamelessTheEmcee. His debut release straddles the fence between straight underground and nerdcore with help from Emperor Pilaf and Illgill as well as sampling tunes like Zelda on the song Empty Heart Containers. Not to mention the clearly nerdy reference in the EP's titling. So give the album a listen, you will surely not be disappointed.